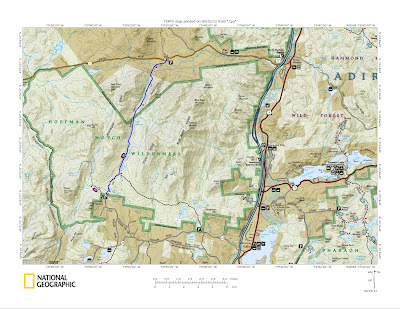 The Hoffman Notch Trail goes from Loch Muller in Schroon, NY to the Blue Ridge Road in North Hudson. 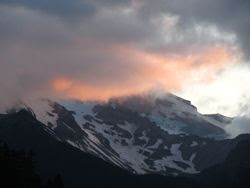 It is a 7.5 mile trail that follows a North-South notch. Being in a notch, the trail often has its share of mud. Since we had a pretty dry winter and a dry spring, I decided to take a trail run through the notch and back, hoping that it would be relatively dry. 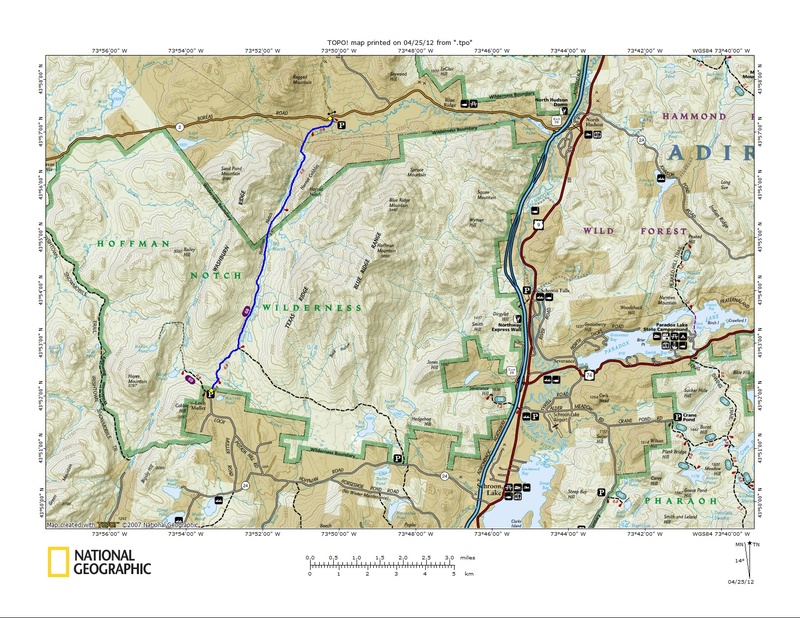 The trail runs lies in the Hoffman Notch Wilderness area, but part of the northern end of the trail passes through private property (courtesy of the land owner). Midway on the trail is Big Marsh, which is actually a pretty pond. The trail doesn't get a lot of use since there is no major destination. The nicer half of the trail is the northern half, where the trail gets into the notch and runs alongside the pretty Hoffman Notch Brook. Several stream crossings involve some rock hopping which can be difficult in times of high water. The trail could use a few more trail markers, since the trail is not well worn. The mud was still present, although it wasn't horrible. Unfortunately my camera battery went dead after a couple pictures, so I don't have a lot of images to include here. I didn't see any other people on the trail, but it was a Friday. This trail is not the best trail for a trail run, but I made do. I had to walk in some areas, and watch my step in other areas (so I wouldn't sink), but I made it.